No, this isn’t about a pot addiCtion, but rather an addition to my pot collection. I stopped by K-Mart on the way home and picked up a new toy. 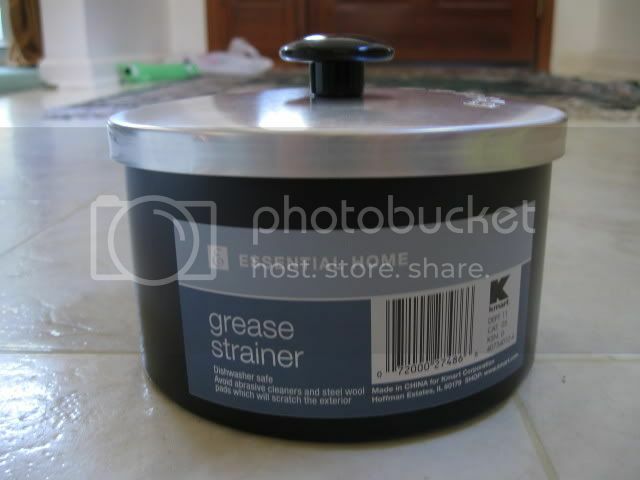 It’s a very lightweight aluminum grease pot. When I say light, I mean super light. Without the grease strainer it’s just 3.9 oz including the lid. I just did a test boil of 2 cups of water with the LiteMax stove. I have to say I was a little disappointed. It was about 40 secs longer than with the Snow Peak pot. It took 4:09 to get to a rolling boil. I have some more testing to do but if I can get the boil time down this will be a great way to shed some weight. Of course with the alcohol stoves the savings will be even more significant. I can’t wait to test it some more.